From left: Florida Blue Market President David Pizzo, Lauren Koff, and USF Center for Entrepreneurship Director Dr. Michael W. Fountain. Lauren Koff (MBA ’18) describes herself as a person with no musical talent. However, that didn’t stop her and partner Cristina Rodriguez from founding their non-profit organization that brings music into the lives of elderly participants. Koff and Rodriguez’s organization, Mind&Melody, brings musical instruments to healthcare facilities, nursing homes, day centers and assisted living facilities to improve the quality of life for individuals with and without neurological impairments, like dementia. Performing as part of a group with other participants and volunteers, participants form a sense of community, further deepening the organization’s positive effect. 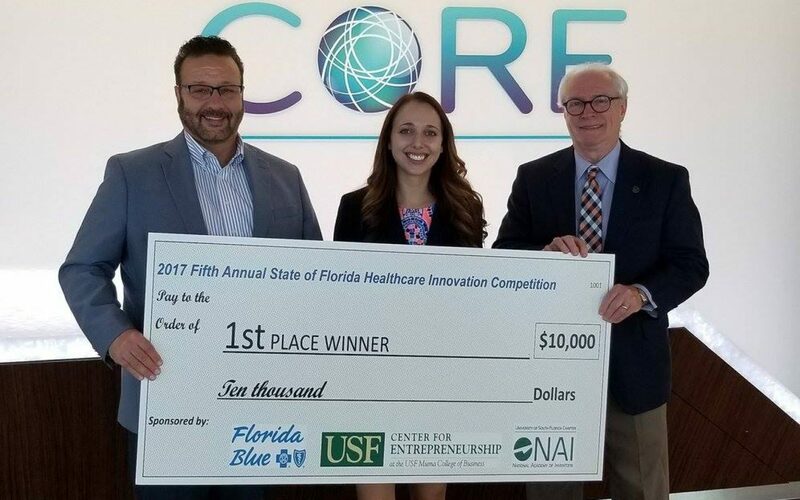 Thanks to $10,000 from Koff’s win at the Florida Blue Healthcare Competition, the partners can continue to grow their business in Florida, with hopes of expanding into states across the nation. The focus of the competition was on aging in place, which refers to the elderly population who stay at home for the rest of their years, Koff said. While Mind&Melody is already using music enrichment in healthcare facilities that are outside of the home, Koff wanted to expand their services to in-home sessions. 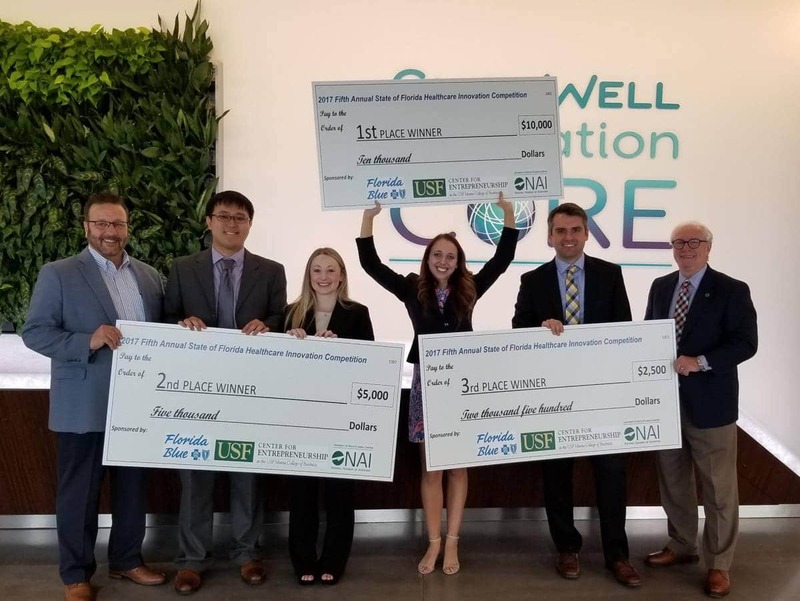 The Florida Blue Healthcare competition, hosted by the USF Center for Entrepreneurship, provided the funding to help make that idea a reality. Koff has already seen the benefits of in-home sessions, having hosted the first session in October 2017. Koff is looking forward to Mind&Melody’s larger impact on more participants, and thanks to her time in the UF MBA program, she feels prepared to handle the business side of the organization as well. Learn more about Mind&Melody and how you can get involved.